Avid Bachelor franchise fans know Clare Crawley well. Her first stint, on Juan Pablo’s season of The Bachelor, ended disastrously because Juan Pablo was objectively the worst. But we always knew there was someone out there for sweet, smart Crawley, even as we watched her try and fail to find love on two seasons of Bachelor in Paradise. It looked like Crawley’s fourth attempt at finding reality TV love would fail as well… until last night’s “The World Tells All” special. Finally, Crawley got her happy ending. During the show, host Chris Harrison revealed that Crawley found love after the show. At that moment, Savard was brought out from backstage. He and Crawley exchanged I love yous, and he told her, “You’re the strongest woman I’ve ever met in my entire life,” as he got down on one knee. 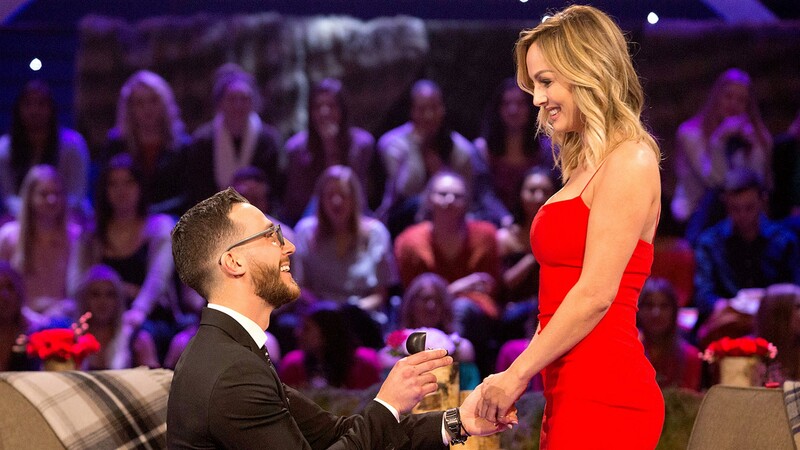 It truly was one of the most heartfelt and perfect proposals we’ve ever seen on a Bachelor show. For now, Crawley and Savard are in a long-distance relationship, while she’s still in Sacramento and he’s in Montreal. But they’re looking for a place to live together and have their happy ending. Congrats, Clare and Benoit!